Five for Friday is a new forum occurrence where you ask questions over the week, and we pick 5 of them to answer on Friday! The questions can be about anything, but we will only pick 5 to answer each week, so choose your questions wisely! Any inappropriate or harmful questions will be removed without notice. To JelloShaker: What is the airspeed velocity of an unladen swallow? The answers will be posted in a separate thread at the end of the week. Note: Please direct all EU policy related questions to the appropriate FAQ thread, they will not be answered as a part of Five for Friday. We are currently still waiting on answers from HQ for the previous batch of EU policy related questions. Thank you! FoF: Is there any plans on updating oca/mca contents? is there any possibility we can have an update to decard DLEs? 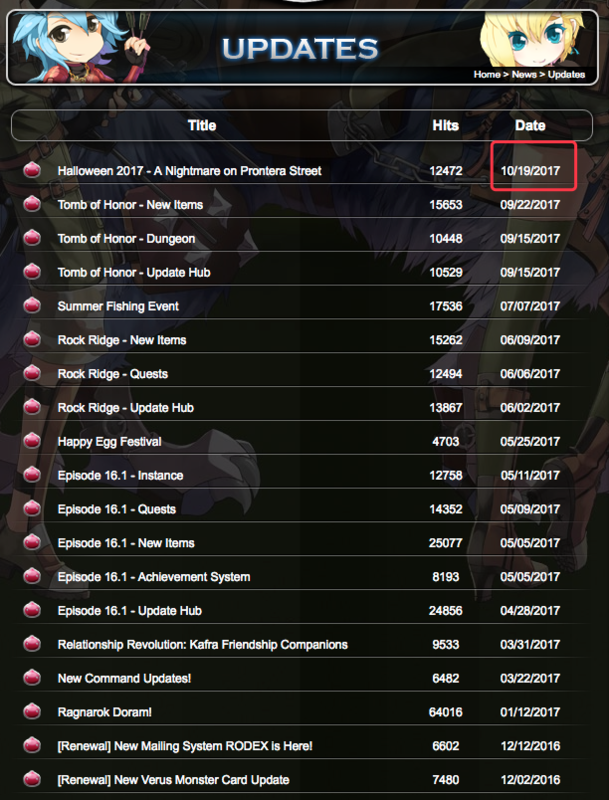 FoF: When are we getting the May Calendar? I'd like to add DBs, BBs and polymorph lists to this. Just like my question last week. FoF: When we will get new Costume Enchants? FoF: Can we get sealed MVP cards as content of OCP or in some cash shop form? FoF: Can we have a solid WoE revitalization Project? Edited by S207, 08 May 2018 - 11:38 AM. When will we have the mado update? FOF: so what's the current situation with upcoming shadow equips? i mean those in the cash shop, are you going to hand them out for free? or is there new shadow equips coming up? Edited by bearl, 10 May 2018 - 10:25 PM. 1.When will the Studio send us updates on OCA and MCA contents? following: possible to make Maya Purple Card/Dark Illusion Card/Deviling Card tradable? 3.Since Camp alrdy gave the drop table of new monsters of 16.2 and Vicious Weapon Enchant table, can CMAstra Please update the RO1 Updates page with all these info and also 16.2 updates so easy for people to look up? 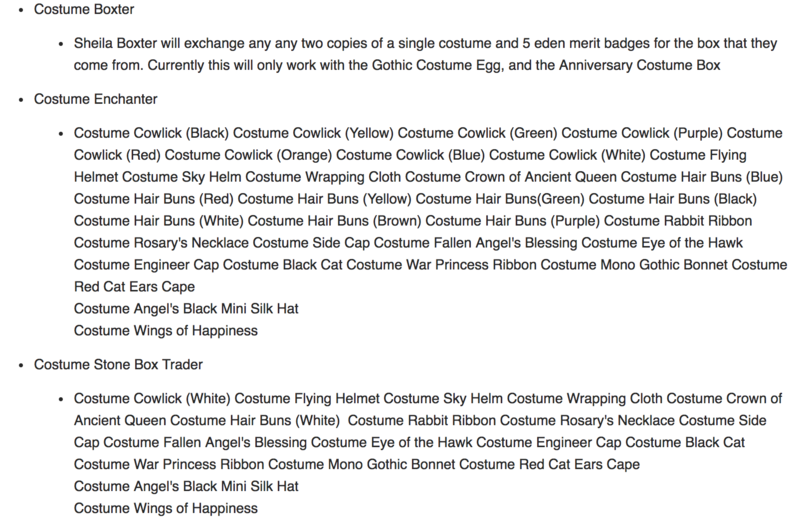 For GOD DHAAN SAKE, show people that we DO have some updates since last Halloween, even not many! This really makes people think you dont give a S**T about new players! cuz if I'm looking for a new game to play, I first go check that page, I sure wont want to start. Good work! 5. And why remove the enchant stones exchanger cat? yes, we know its intended, but why? we all love the cat, what is wrong with him/her? Edited by yosummer, 10 May 2018 - 11:11 PM. FoF: Did we get any response from them regarding the class improvement patch? did they provide a month when it will be added? Do you think we'll get a homunculus loyalty event soon?